In 2015, Sicario delivered a tightly wound thriller with some remarkable craftsmanship and managed to garner enough attention to warrant a sequel. A sequel that quite a few were skeptical about from the beginning and losing talent like director Denis Villeneuve and cinematographer Roger Deakins didn’t do anything to qualm those fears. However, Sicario: Day of the Soldado seems to have turned out alright, though maybe not within the same realm of success. 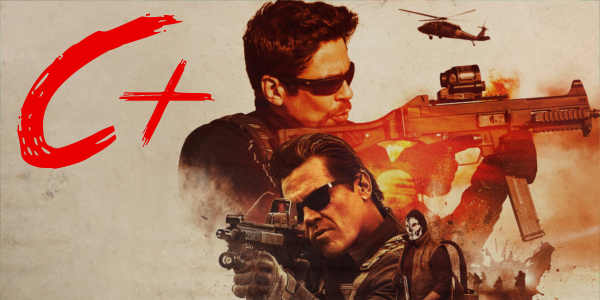 FBI agent Matt Graver (Josh Brolin) calls on mysterious operative Alejandro Gillick (Benicio Del Toro) when Mexican drug cartels start to smuggle terrorists across the U.S. border. The war escalates even further when Alejandro kidnaps a top kingpin's daughter to deliberately increase the tensions. When the young girl is seen as collateral damage, the two men will determine her fate as they question everything that they are fighting for. Featuring a somewhat more complex story, Sicario: Day of the Soldado swims around in this gray area, a space of moral quandaries where the line between protagonist and antagonist is constantly blurred. And though certain aspects of the plot are not nearly as interesting as its predecessor, the film manages to make some surprising choices that other Hollywood films wouldn’t make. The best choice the film makes, even if it by default, is making this Benicio Del Toro’s franchise. While the craftsmanship behind the first film may have made it what it is, del Toro’s character may have been have been the most intriguing piece and following him once more is a huge plus for the sequel. It helps that Benicio Del Toro is an incredibly talented actor who seems remarkably under appreciated. He brings a presence to the role, illustrating a sense of history and pain to the character that he builds upon from the last outing. On the other side, in another great 2018 performance, is Josh Brolin. From start to finish, Brolin brings a viciousness that far exceeds his performance the first go around. The relationship between these two men is fascinating, and in better hands, could likely carry an entire film on its own. But the loss of some hugely talented people behind the camera is where this sequel clearly falters. The severe lack of Villeneuve is prevalent more than anything, as the shift in tone loses a bit of nuance that he brought. And the film does not look nor sound nearly as gorgeous without Roger Deakins or Jóhann Jóhannsson, filming or scoring the film respectively. Director Stefano Sollima seemingly attempts to make up for this by making a more brutal affair, creating a sequel that amps up the violence tremendously high. It doesn’t help that this is the weakest writing from Taylor Sheridan’s young career. And while there are problems in other scripts, the talent around it could elevate it, but that doesn’t happen here for a result that is less than the par. 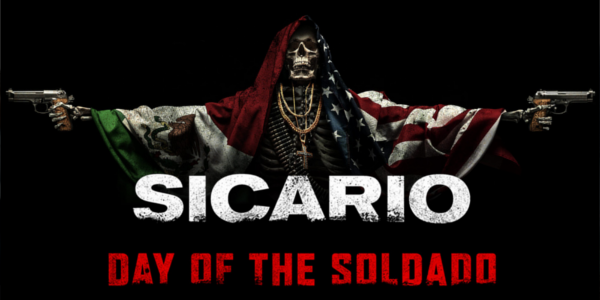 Overall, Sicario: Day of the Soldado is a step down in quality from the first, though its hardly a shock. The final product is not a bad film, but it does present for a decent set-up for a potential third film, one that I would personally welcome with open arms with the caveat that Villeneuve returns or Sheridan takes the directing reigns. Benicio del Toro and Josh Brolin have crafted characters that are intriguing and incredible fascinating to watch as the maneuver the intricacies of the border. It’s a fine film, but don’t expect the same tremendous work that was produced in the first film.